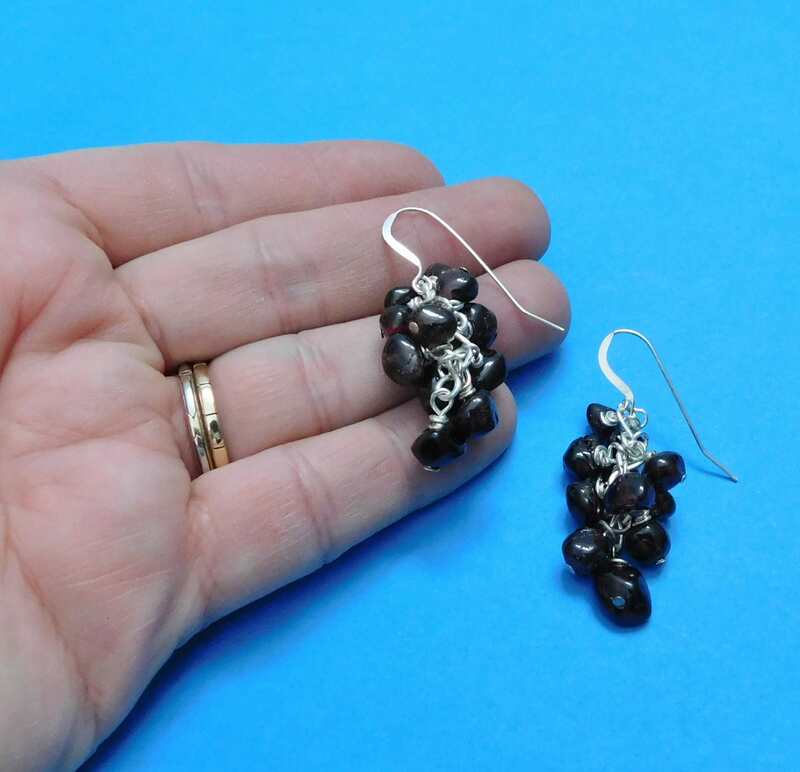 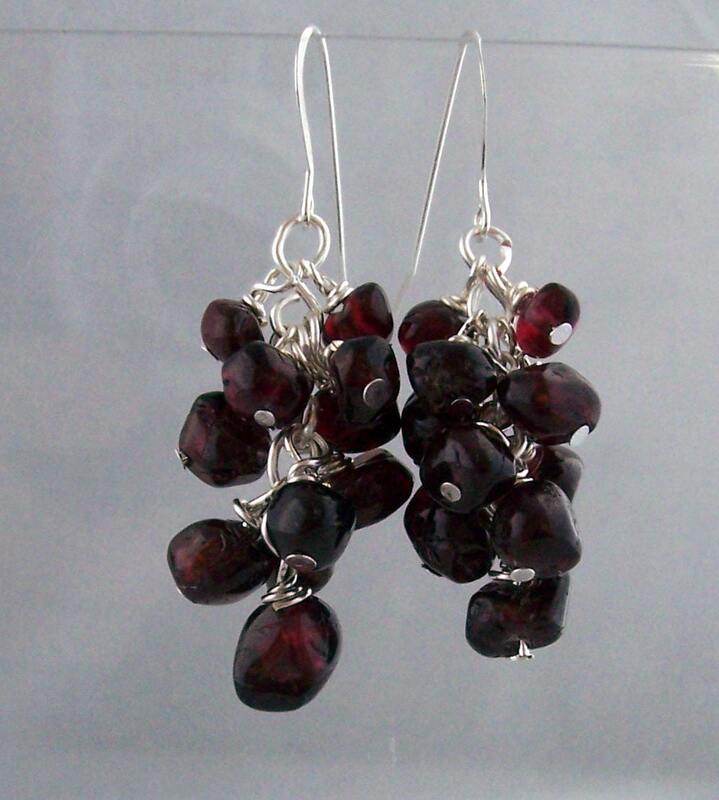 10 genuine garnet faceted nuggets are hand wire wrapped into these abundant cluster earrings. 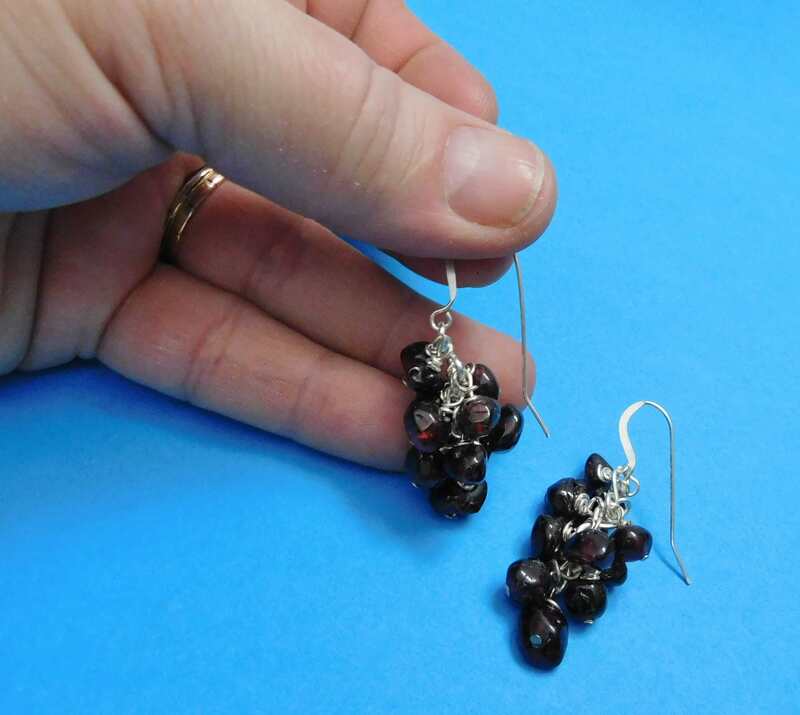 Each cluster dangles 1 1/4 inches from the bottom of sterling silver ear wires and the pair would be a classic addition to anyone's wardrobe. 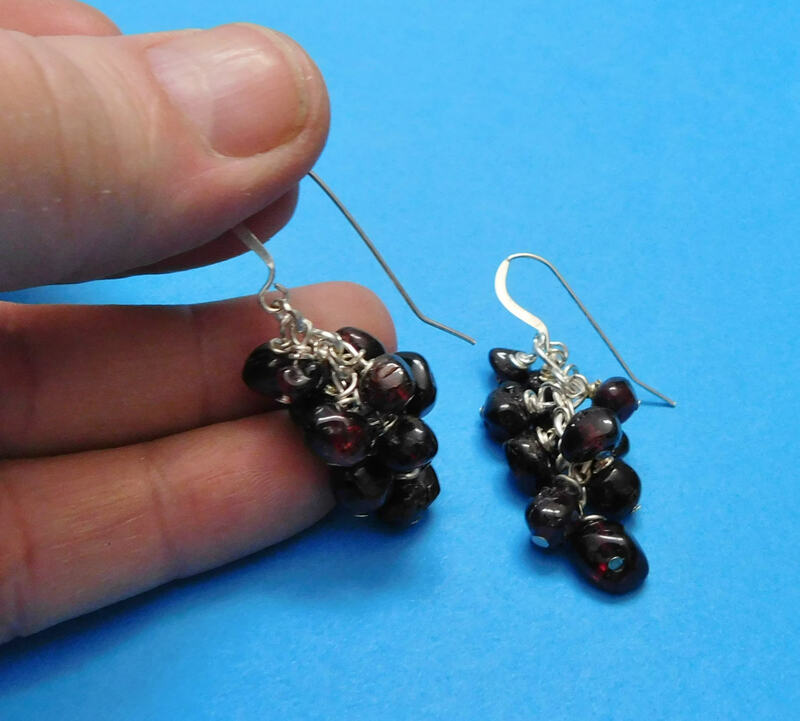 Garnet is the birthstone for January and is a beautiful deep red color that resembles the color of Bing cherries. 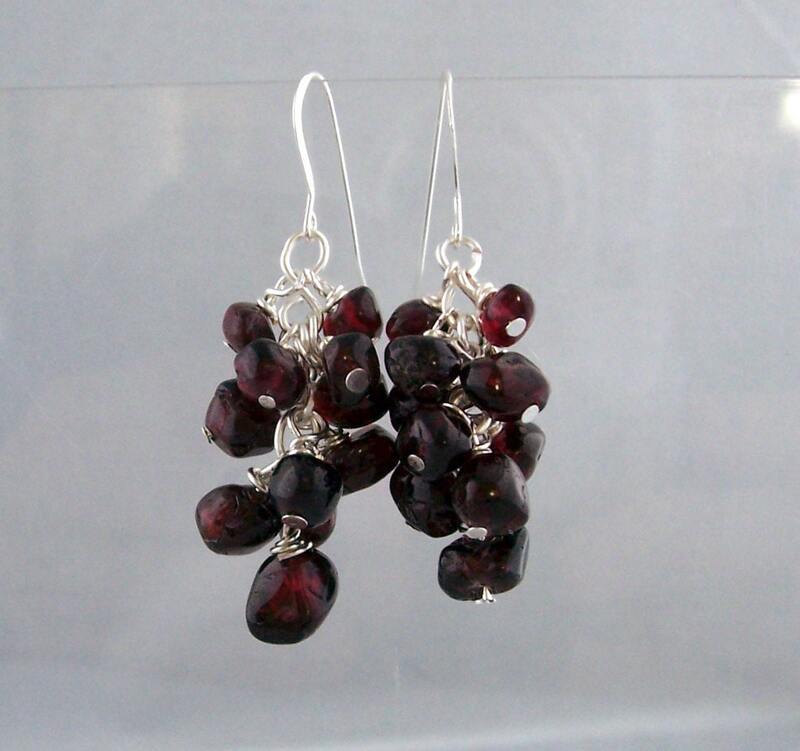 It happens to be my own birthstone, and one of my favorite gems.